Regarded as one of the best and most rewarding selections from the ornamental family commonly known as ‘bellflowers’. 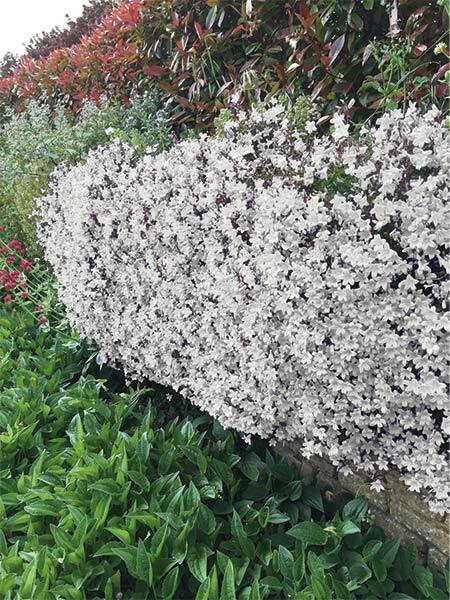 A lengthy display of crisp white flowers from spring through to winter. The tiny heart shaped leaves form an attractive dense mat which is evergreen. Suited to most soil types which are moist but well draining. Trim back after main flowering to encourage neat, dense habit. Apply a slow release fertiliser during early spring for best results. Will cascade over rockeries, embankments and retaining walls. Edging for garden beds, paths or paved areas. Small gardens, containers and general garden use.